Following the launch of the Apollo from Roberts Space Industries, we took your community-voted questions to our designers to give you more information on the recently unveiled medical ship. If you haven’t watched our recent Ship Shape on the Apollo, you can do so here. Then, on Reverse the Verse, Corentin Billemont, John Crewe, and Paul Jones answered questions about the Apollo live on Twitch. Special thanks to John Crewe for providing the latest interior plan as linked below. 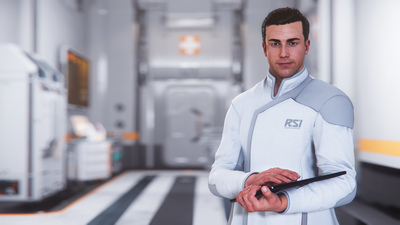 Will there be any interactive ‘doctor’ gameplay to healing in med bays and first aid, or will it be automatic based on the tier of healing? The design for doctor/medical gameplay is not fully signed off, but it currently has interactive elements to it. One of the things that we always want to do with Star Citizen is to make player interactions physical rather than just pressing a button and walking away, an example being the current mining loop that requires a level of constant control instead of automatic extraction. What happens to the player while they’re waiting to be picked up, transported, and healed – are they just sitting there doing nothing the whole time? Currently, the plan is for the player to be physically immobilized during pickup, transportation, and healing. However, during the implementation process, we will review whether this is too much and if we need to provide some level of interaction. During these ‘down’ times, we’ll make sure the player has access to feedback notifying them of their current state and an indicator showing the rough time until the next state. Will NPCs requiring treatment spawn in your ship? We don’t plan on this being a natural occurrence, as having six random NPCs suddenly turn up on your ship requiring treatment without warning would be a pretty unnerving experience. 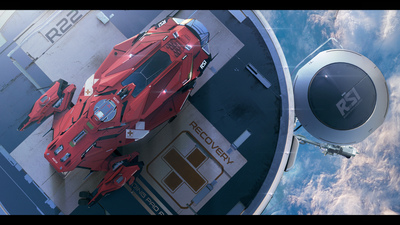 However, NPCs can be collected via drone and treated on your ship as a result of interactions you make, be it specific medical mission participation or as you respond to other relevant beacons. ‘Search and rescue’ gameplay involves a lot of looking and finding. How do the scanners on the Apollo compare to scanners on other ships, specifically the Terrapin and Cutlass Red, whose brochures and ship pages advertise that they can also be used as search and rescue craft? 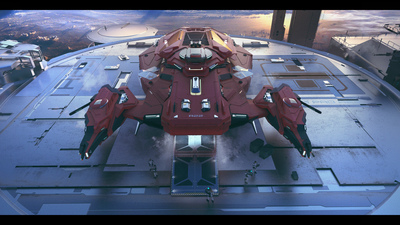 The Terrapin and Cutlass Red both have medium scanners, whereas the Apollo has a large one, like the Carrack and some of the other bigger ships. While they both do the same things and can be used for the same purposes, large scanners have a higher range/spread and give more accurate details. What happens to injured players who refuse to pay after being healed? In order to prevent abuse, we expect to require players to pre-pay in aUEC/UEC for treatment. It could be a voluntarily choice for conscious players, and be tied into the pre-accident request to respawn at an Apollo for those more gravely injured. What tier of beds will capital ship med bays have? Will they still rely on medical ship support? 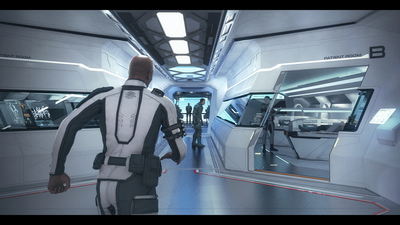 It depends on the ship in question, but a ship with a dedicated medical bay will generally have a high tier bed to provide full medical support. Bear in mind that this will be of limited use if the ship itself is critically damaged and the crew is injured. It is unlikely that capital ships will have enough high tier beds to support serious recovery for the entire crew simultaneously (with the exception of those dedicated to the role, like the Endeavor Hope). Are there injuries that the Apollo cannot fix but the Endeavor can? Assuming the Apollo is equipped with the best tier of beds available, then it can fix the same injuries as the Endeavor as the functionality per bed is the same. However, the Endeavor won’t have a loadout as limited as the Apollo, so can heal more people simultaneously. 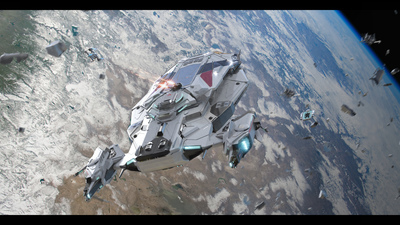 Will there be more variants of the Apollo, for example police/military/fighter/transporter? 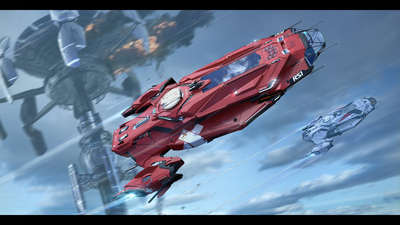 There are no plans for further RSI Apollo variants outside of the Medivac and Triage. We want this ship to stay focused on its current role. Can we sleep in a hospital bed to log off? This is not something we currently plan on allowing, but we’ll review it as the gameplay comes online. Since the ship only supports two crew members, does it mean we are limited to a pilot and a doctor as crew (it would be helpful if the crew positions/roles could be fleshed out more for us)? We don’t see the roles being as strict as just ‘pilot and doctor’ and envisage both players taking part in recovery and treatment. While landed or docked in space, both crew can safely help. However, there is nothing to stop the pilot leaving their seat to help while the ship is flying (ideally in safe space!). 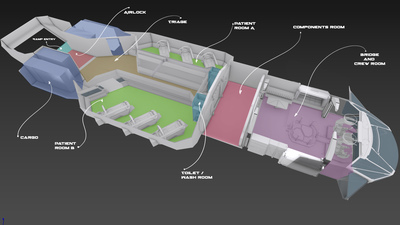 If the Apollo has tier 1 beds to allow respawning, will it also get a beacon for that like the Endeavor? Yes, the beacon described in the Endeavor Q&A is very similar to our current Service Beacons and requests for medical assistance will be done through those. Will there be a cooldown on respawns for an individual player, or will it be limited by the resources carried on the Apollo? There will likely be a cooldown period to promote the concept of death having serious consequences, but it will also be limited by the medical resources carried on the Apollo. While you could respawn multiple times on the same Apollo in the same game session, the overall respawn amount will be limited by the resources that the ship has available. Each spawn or recovery will use an amount of the equipment/consumables required for medical gameplay. How do you envision the balance between medical gameplay and time to kill (TTK)? Turning players into the kind of bullet sponges that facilitate the different stages of injuries and healing doesn’t make for a fun FPS experience, while having a shorter TTK results in players dying too quickly to use anything other than tier 1 recovery. TTK will be increased as we bring more features online. However, we’ll be constantly reviewing and amending the features that contribute to it to ensure all related gameplay feels as fun and immersive as possible. In previous releases, our TTK was quite high, but the UI gave very little feedback to the players about what was going on. This gave a poor feeling to both parties, but there are lots of systems due to be implemented that will prevent this from happening again. What’s the advantage of the Apollo in comparison to a medical bay you can find on ships like the Carrack? The Apollo’s medical bay can hold more people than a non-medical focused ship (outside some of the capital ships mentioned above) and its modularity allows it to heal in ways the vast majority of ships can’t. Will tier 1 medical bays support everything the lower tiers do? Superior tiers will include all the functionality of lesser tiers. An interesting decision for the player will come in how they configure their bays – having higher tier beds limits the number of people you can heal and using them to provide lower tier healing could be a waste of time, space, and resources. Does removing the medical modules increase the amount of SCU that can be used for cargo? The medical bays can’t be removed, so the maximum cargo capacity will still be 28 SCU. Can bounty hunters and slavers use the drones to retrieve unconscious hostile players? The drones simply require the patient to be immobilized/unconscious, what you do with them after that is up to you! The Apollo does not lock people into the medical beds, so unless you constantly monitor them they will either die from their injuries or wake up and become mobile again and require further restraining. Will the Apollo have outlaw applications, such as harvesting organs and limbs of PCs and NPCs captured, to further add depth/profit to bounty hunting/assassination missions? Organ harvesting is not something we currently plan to support in medical gameplay! Will pulling high g-forces affect patients on board? If so, how are they affected? We want the patients to stay in a state as stable as possible and the medical beds are designed to avoid this kind of thing (outside of catastrophic events, obviously). 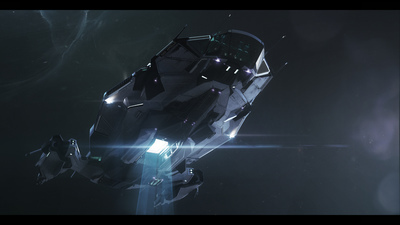 Long-term plans are for all players onboard all ships to be subject to g-force relevant to how the ship is being flown. Being restrained in either a seat or bed will mitigate this somewhat. Can Apollo owners set their ship to not be an active spawn point when they don’t want people arriving on their ship? For patients who are not in your friend list/party, retrieving them is an active process using the drone. You will have to actively accept missions or go to beacons to recover non-party members, so there’s no need to switch your ship off as a spawn point. However, when playing in a party (and the requirements to respawn are met, such as distance and capacity), players will automatically be given the option to respawn aboard your ship. Are medical consumables (hoses, sterilized needles, drugs, tools, blood/plasma, etc.) stored in the med bay, or do they take up space in the cargo hold? Medical consumables must be stored in the cargo hold, but the plan is to balance it so that even on an intensive medical mission, you’ll still have room for regular cargo if you wish. On the flipside, you may want to run with minimal medical supplies to just offer a couple of healing sessions and instead attempt cargo missions to generate additional income that way.